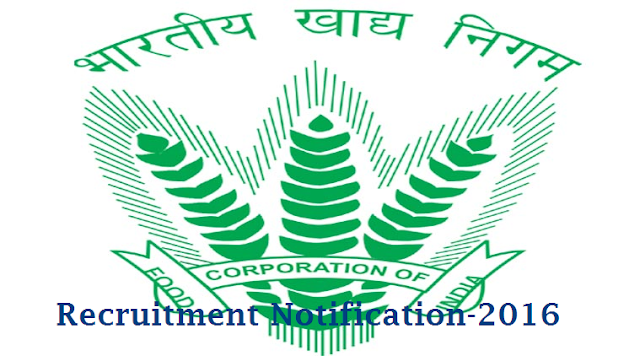 FCI Food Corporation of India Recruitment Notification 2016 Recruitment Notification from FCI for 1 Posts Zonal Sports Promotion Committee (North), Food Corporation of India, Zonal Office (North), Noida, invites applications for recruitment of 15 meritorious sports personnel as Assistant Grade.III (Genl./Depot) in IDA Pay Scale of Rs 9300-22940/-. immediately preceding his application for tournament in the corporation have represented. Passport Size photograph 2 (Two), one duly pasted on application form. The original education, date of birth proof and sports certificates may be shown at the time of trial otherwise the candidate will not be allowed to attend the trial procedure.